Barbara strives to share the joy of movement with her students and train them to explore the artist inside and express it through dance. She believes that positive motivation is her best tool for helping students to maintain a positive self-esteem, educate, make fond memories, and become the best that they can be! Barbara is a native of Lehigh Acres, graduated from Riverdale High School and furthered her education at Edison State College. She began her dance studies at the young age of 4 and now has over 30 years experience. Her dance education includes her studies under Joe Tremaine, Gus Giordano, Mia Michaels, Frank Hatchett, Tyce Diorio, Napoleon & Tabitha, Geo Hubela, Travis Wall, and so many more. 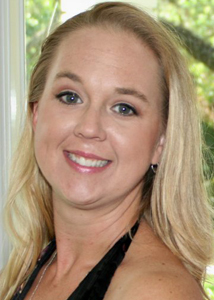 She has been teaching professionally in and around southwest Florida for over 20 years. Her performance experience includes Walt Disney World as well as many local clubs in southwest Florida. Barbara is the Director of the LA Stars competitive team which has won numerous awards and trophies at different dance competitions on the regional and national levels. She is a member of several national organizations such as: The American Alliance for Health, Physical Education, Recreation, and Dance, The National Dance Association, The American Business Women's Association, and The American Association for Physical Activity and Recreation. Barbara is active and has a great interest in local and community activities. She has volunteered her time to different beauty and talent competitions and is working with the Lehigh Senior High School Center of the Arts by awarding bi-annual scholarships to students in need. She feels that it's important to give back to her own community in which she was raised. 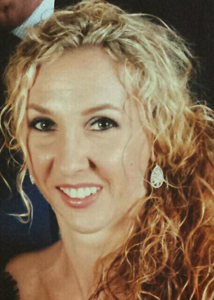 Along with co-owner Wayne Christiano and their combined family of 7 children, she continues to provide services to Lehigh Acres by offering a dance and music studio with a professional staff of highly trained instructors who will assist your child in developing their talents in all areas of the performing arts. 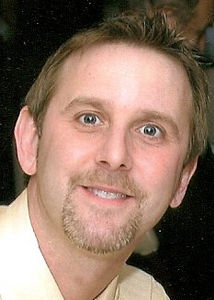 Wayne is responsible for bringing music education into the already established 20 year dance program. He believes that helping to motivate students to reach their dreams as all around entertainers in the arts business through music, will give students a chance to learn, grow, and succeed in any avenue of the arts. Wayne's early guitar training started by taking private lessons from a student of renowned classical guitarist Andres Segovia. Before the age of 18, Wayne was touring and recording worldwide with rock-n-roll and heavy metal acts. He then moved on to study audio recording in NYC at the Institute of Audio Research and furthered his education in FL by studying music education and music business. After schooling, Wayne performed on different cruise lines for many years also releasing several CDs as a musician and recording engineer. His most recent recording as musician landed him on a CD that hit #5 on the Billboard Charts in the contemporary jazz category. Wayne is still performing professionally on a weekly basis and is making the transition into full time instructor and studio owner by training the next generation of musicians to come. Along with Barbara and their combined family of 7 children, he brings his years of performance, touring, engineering, and teaching to Footnotes Dance & Music Studio. Makenzie grew up right here Lehigh Acres, Florida where she lives with her Mom, step Dad, three sisters, brother and three cats. 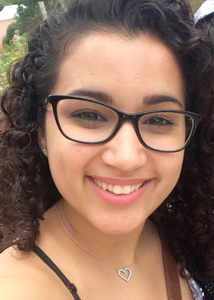 She is currently a senior at Lehigh Senior High School where she is part of the dance program. In addition to her high school classes she is also currently taking classes at Florida Southwestern State College. Makenzie started dancing when she was just three years old right here at Footnotes Dance and Music Studio, however at that time it was called Patty's Dance Studio. She has taken a multitude of classes over the years with renowned dancers and choreographers such as Mia Michaels and Dusty Buttons. A couple of summers ago she also participated in an intensive with the Radio City Rockettes in New York City. Cady Griner grew up here in southwest Florida and graduated from East Lee County High School where she was part of flag/color guard. She started dancing when she was about six years old and was a junior petite and senior petite starlet at Patty's Dance Studio. 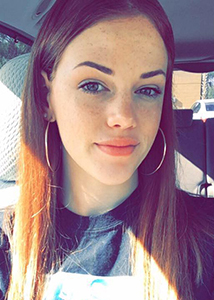 In addition to spending time with her family and dancing, Cady loves working with children of all ages and has been doing so for about 5 years. During the day you might spot her working at Mirror Lakes Elementary school which is part of the Lee County school system. Lauren Gomez graduated from the University of South Florida with her B.F.A. in modern dance performance. She has studied with instructors such as Michael Foley, Jeanne Travers, John Parks, Lynne Wimmer, Mariah Moloney, Carolina Garcia and Gretchen Ward Warren. She has performed for various choreographers including Carolina Garcia, Janis Brenner and Dionne Sparkman Noble. 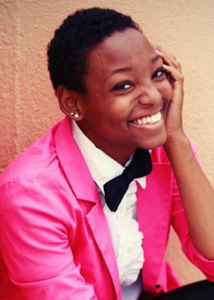 She has also performed and participated at the American College Dance Festival Association. 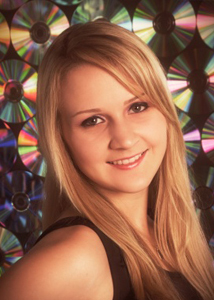 Locally, Lauren graduated from Cypress Lake Center for the Arts with a focus in dance. She is also working with a collaborative group of dancers who have formed a dance company through the Alliance for the Arts in Lee County. She's a high school teacher and teaches dance for a fine arts program for Lehigh Senior High School. Amanda has lived in Lehigh Acres most of her life. She started dancing at the age of eleven. Since 2007 she has been a part of the Footnotes LA Stars Dance Company competition team. Over the years she has taken a number of her own choreographed solo performances to competition, bringing home many awards. Amanda has taken many teacher and student dance convention classes instructed by renowned instructors, such as Mia Michaels (contemporary), Kenny Warmold (hip hop), Misha Gabriel (hip hop), Twitch (hip hop), Gev Manoukian (hip hop), Katie Spreadbury (ballet), Finis Jhung (ballet) and Bobby Newberry (funky jazz). Amanda also attended the 2013 Dance Teacher Summit in New York City. 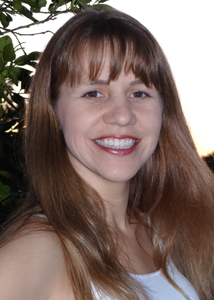 In 2012 Amanda became a dance instructor at Footnotes Dance and Music Studio. Also during this year, she competed in the Lehigh Acres Spring Festival Queen Pageant and won 1st runner-up, 1st place in the talent competition (by performing one of her own contemporary pieces), and Miss Congeniality. Since that time, she has been asked to come back and perform dance routines for the pageant and has done so every year. Amanda has also judged for the Spring Festival Princess Pageant and was recently recruited to join the festival's committee. Other hobbies Amanda enjoys include photography, archery, and art. She is also a volunteer with the Gulf Coast Humane Society. Amanda is currently in college studying to be a veterinary technician. Betty Gourley has been a resident of Lehigh Acres with her husband, Kevin, and her daughter, Amanda, since 1995. As a former dancer with the Liberty Cloggers, Betty decided it was time to expand her love for dance and join the Dancing Divas dance team in 2007. Betty has performed with the Dancing Divas at several local venues and charity events, as well as dance competitions like Bravo and Turn It Around. In 2009 she became a tap and ballet instructor with Footnotes Dance and Music Studio. 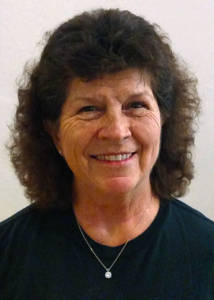 Betty has had extensive training from experienced Footnotes instructors Patty Jackson and DiAnna Reisinger. She also attended the Dance Teacher Summit in New York City in 2008 and 2013 where she participated in classes taught by world-renowned instructors like Anthony Morigerato, Finis Jhung, Gregg Russell, Thom Cobb, Mignon Furman, Katy Spreadbury and many others. With her love for dance, you would think it was her full time job — but it is not. By day, Betty is a Florida Registered Paralegal with the law firm of LeGrande & LeGrande, P. A. By night, she is a proud instructor and dancer with Footnotes Dance and Music Studio. Currently Patty teaches tap and musical theater at Footnotes. 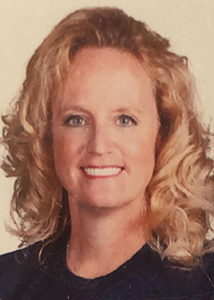 Patty moved to Lehigh Acres in 1986 and holds a Bachelor of Health Science and Master of Science Degree in Physical Therapy from the University of Miami. Prior to moving to Lehigh, she and her husband Mike Jackson owned and operated two dance studios in Kansas City, Mo and Belton, Mo. Patty started dancing when she was 3 years old. She studied at the University of Miami, University of Missouri in Kansas City, as well with Dorothy Shepherd, Jo Tremaine, Gus Giordano, David Howard, Alvin Alley Dance Company, and Charles Kelly. Before opening her dance studio she danced professionally at many local clubs in the Kansas City area. She has choreographed many musicals performed at the local level, half-time shows for Olympic exhibitions, and MTV. She has coached students who have won several State and National Championships. She and her Dancing Divas qualified as members of the United States Tap Dance Team and won 2nd place in the World Tap Dance Championship in Berlin, Germany. She has judged numerous beauty pageants and talent contests in the Mid America area including the Miss Teen contest in Missouri, Miss Pre-Teen in Florida, and National Miss Pre-Teen Contest. Patty is a member of the International Association of Dance Medicine Science, Professional Dance Teachers Association, Dance Masters of America, Performing Arts Medicine Association, the National Baton Twirling Association, American Business Women's Association, National Baton Twirling Association, and Tri Beta Honor Society. Patty's projects are Dance Unlimited which is teaching children with disabilities to dance, and the Kinetic Rhythmic Dance Therapy. Tyler was born in New Jersey, graduated from Cypress Lake High School Center for the Arts in 2007 as a dance major, and currently lives in the Fort Myers area. 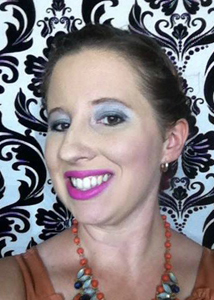 In 2009, Tyler earned her cosmetology license and now works as a cosmetologist at Salon Creations in Fort Myers. In addition to her high school dance training, Tyler has been teaching dance classes since she was 14 years old. She has studied under Mia Michaels, Joe Tremaine and Patty Gair to name a few. Lianna was born in Cuba and lived there until she was 8 years old, at which time she moved with her family to Naples, Florida. Four years later they relocated again to Lehigh Acres where she still resides with her boyfriend, roommate and her fur baby Lucky. 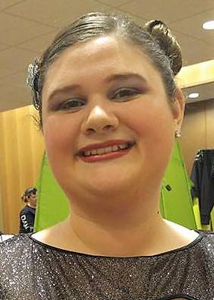 She graduated from Lehigh Senior High School as a dance major and is currently taking classes in child and youth studies as she would like to teach dance classes at school in the future. Some of her students might recognize her from Lehigh Elementary School where she currently works for the ESOL department. Lianna has been dancing since she was 5 years old she remembers being able to dance better than she could walk. When she moved to America she remembers her mom putting her in dance programs at school. Lianna loves all the arts from dancing to painting, it makes her soul smile. Sarah grew up right here in Lehigh Acres, Florida, graduating from East Lee High School in 2012. She has been dancing since she was 5 years old. Her first dance teacher, Barbara McKenzie gave her a love for dance that has lasted to this day. Sarah has also been a competitive dancer, she was a Junior and Senior Petite Starlet at Patty's Dance Studio (of champions) and in 2015 she competed as an adult member of the LA Stars Dance company. When Sarah isn't dancing you might find her at FSW studying Elementary Education or working as a tutor. Sarah loves teaching and playing with children of all ages and she believes you are never too old to be a kid at heart. 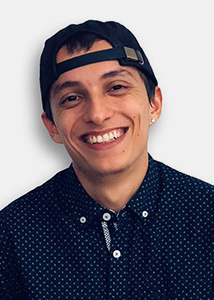 A Fort Myers native, Antonio is a graduate of Florida Southwestern and is currently a communications major at FGCU specializing in marketing. 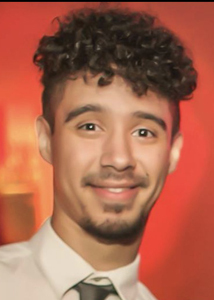 Antonio found his passion for dance at the age of 16, and has been dancing ever since. He started teaching hip hop classes at Footnotes in 2012, incorporating his self-taught, funky, fresh and fun to do style. In his free time Antonio loves to create content for YouTube, sharing up to date news from the tech and gaming community. Sharon Rooks grew up in Michigan where she started gymnastics at 9 years old. Several years later at the age of 14 she started coaching the sport she loves. After moving to Florida with her husband she went to college at USF and has been teaching for 11 years now. Currently during the day, you will find her teaching at Veterans Park Academy for the Arts. Sharon and her husband have two children, Brayden (currently stationed in Korea with the Army) and Maegan (a member of the LA Stars Competition Team and a dance major at LSHS). You might also find Sharon flipping for Peanuts, not the kind you eat those lovable characters: Charlie Brown, Lucy, Snoopy and the whole gang. Bianca grew up here in Lehigh Acres, Florida. She currently resides in Delray Beach, Florida where she is very active in the arts community. Bianca has taught hip hop, musical theatre, contemporary, and jazz class here at Footnotes and other dance studios. She has also won choreography awards for many of her dances as well as individual dance awards over the years. She is currently dancing with Ovations Global Network. We are lucky to welcome her back to Footnotes Dance and Music Studio several times a year as a guest teacher and choreographer. Amy lives here in Leigh Acres, Florida, where she is a teacher at Lehigh Senior High School. She is a dedicated teacher that truly cares about all the students she teaches at Lehigh Senior and here at the studio. You will see her Jazzin it up here at Footnotes Dance & Music Studio. That little curly goofy head boy who would spin around on the floor as a young child developed a passion for dance after watching Michael Jackson do the moonwalk across the stage. It sparked his fire to learn how to dance. He then came across the electric boogaloos & rocksteady crew which peaked his interest to learn more about hip hop dancing. He taught himself hip hop through videos, self-experience and workshops. Marcus has also had the opportunity to work as a professional dancer in award shows, music videos, and concerts. He has been working as a Hip Hop and Ballroom Dance instructor since 2008. Till this day he continues to grow in his knowledge of dance even outside of hip hop to only surpass his experience and become a better teacher as well as a dancer than he was yesterday. 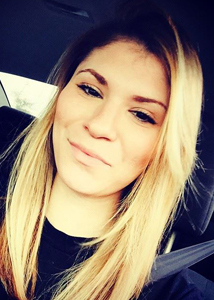 Shelby grew up in Immokalee, Florida, graduating from Immokalee High School in 2010. 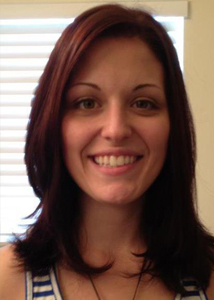 Shelby currently teaches English II and Dual Enrollment college courses at Labelle High School. She lives in Lehigh Acres with her husband, three dogs, two cats, and bearded dragon. Shelby has always loved making art, moving, and creating. In her spare time, she can be found sewing, writing, jogging in the rain, and dancing. Her love for dancing began as a small child when she attended Patty's Dance Studio in Lehigh Acres, and it has grown through the years. 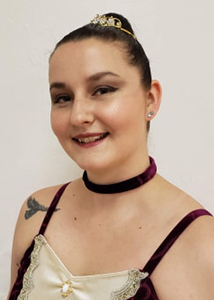 Shelby was a student of both Barbara Mackenzie and Patty Jackson, and she is excited to join the ranks of the dance teachers at Footnotes Dance and Music! Sharon grew up in Port Richy, Florida which is part of the Tampa Bay area. 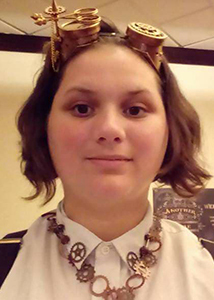 She was a homeschool student and a graduate of the Lee County Public Education Center and attended the Word of Life Bible Institute in Pasco county. Currently, Sharon resides happily in North Fort Myers with her husband and their two children. In addition to teaching dance Sharon is also the clinic assistant at Gateway Charter Elementary School, a photographer for Glamour Shots and a photo booth attendant for Bash Booths. Sharon started her dance career at the age of 13 at her local YMCA, a couple years later she joined a small studio in Port Richy. When she was just 16 years old she started teaching dance classes at the YMCA. She has also attended Dance Revolution Dance Conventions to gain even more knowledge about dance that she can pass on to her students. Sharon made her way to Footnotes as an instructor in 2009, and the kids have been flipping for her classes ever since. In her free time Sharon loves to do crafts such as painting, drawing and crocheting.